Hanyu distillery, in Japan, is an ex-distillery. It is no more. Since 2000, it has ceased to be. 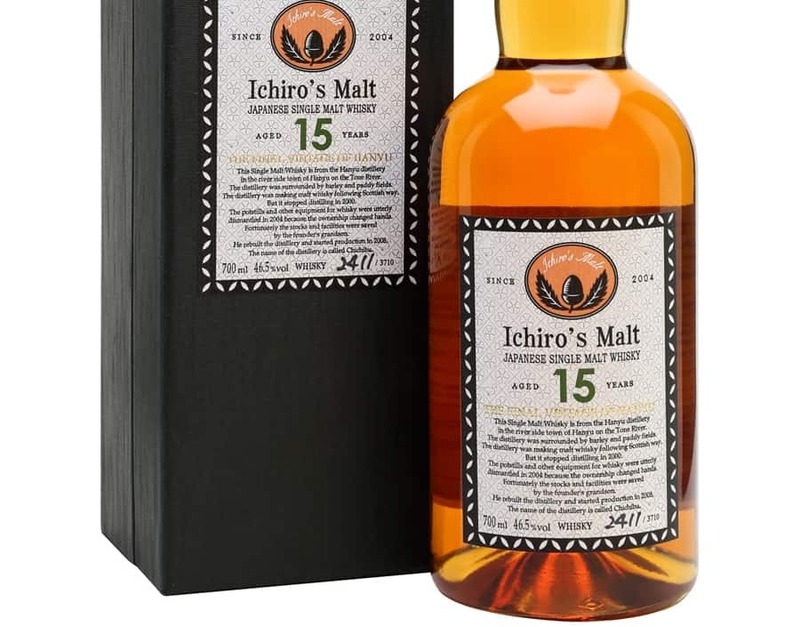 Ichiro Akuto, of Chichibu fame, and also the grandson of the distillery founder, once bought up a few hundred casks of the whisky from this closed distillery and started having some fun of his own. 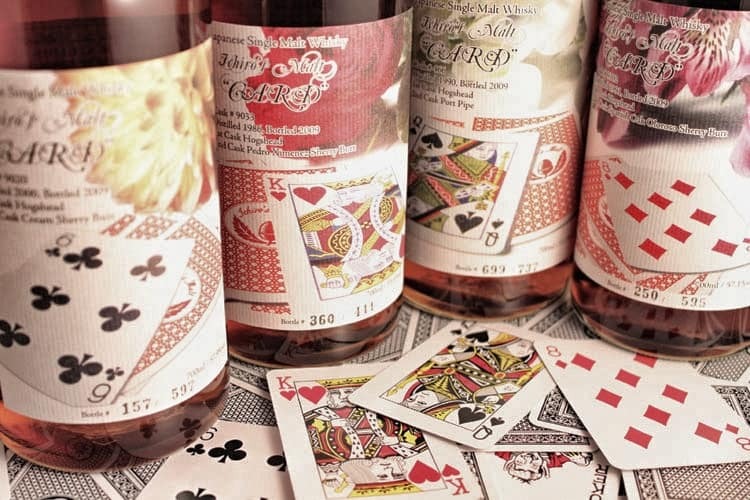 He knocked out the Ichiro’s Malt series, including the playing card styled labels, as well as some interesting blends. But he also released some Hanyu single malts, of which this bottle is one. 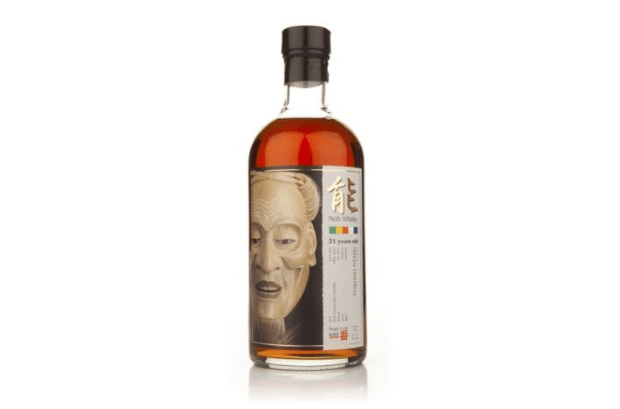 Distilled in 1988, and having spent some time in sherry casks, this Hanyu 21 Year Old was bottled in 2009 at 55.6% ABV. Colour: heather honey, with a reddish tint to it. On the nose: now this is complex that it’s difficult to know where to begin. When the glass was away from my nose, I was assuming I could smell peat, but when it came close there was at first sultanas, grapes, plums, all spiced with cinnamon. Then Chinese five spice, and a little musty wood. Sandalwood, actually. Picking apart that musty smell (and I don’t mean that word musty in a bad way, it’s just a word that comes close to it), it opens up into some weird territory that I’ve never known in a whisky. Like a match that’s burnt out. Then it’s like a delicatessen, with traditional cheddar cheese and smoked meats. In the mouth: yet, very little of that nose comes through, since it’s different again! Still very complex. There’s a wonderful interplay between the sweetness of the sherry and a smokey camp fire. Some flavours do come through: chewy raisins, hefty Christmas cake fruits, oak, black pepper. It’s really complex, with the occasional almost brie-like creaminess. A lovely medium to heavy weight in the mouth, but it keeps going on and on. Bitter chocolate, that every now and then tickles you with a sweet saucy edge. Sublime. Ichiro is an alchemist indeed! It’s very sophisticated, a very clever whisky. 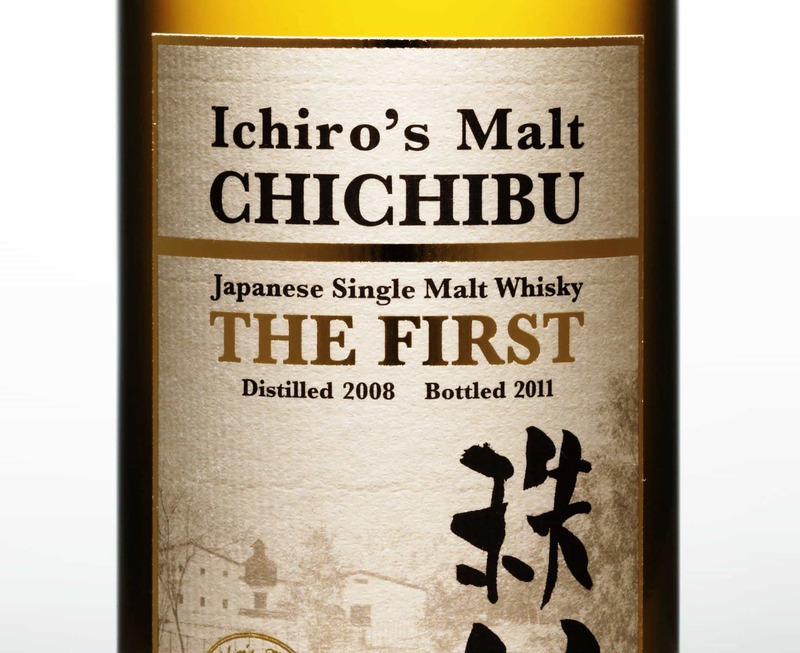 One for Japanese whisky collectors most likely, and difficult to get hold of in bottles without paying a good couple of hundred quid, but you can find drams at Whisky Samples if you want to give it a go yourself. It’s something very different, especially on the nose, so is well worth checking out for a wild Japanese experience.